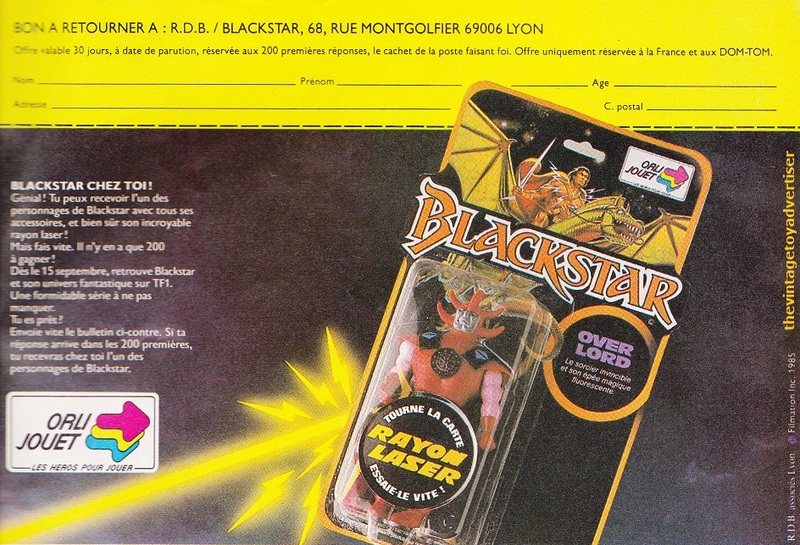 Blackstar was a US animated fantasy / sci-fi TV series that ran in 1981. Toy company Galoob produced a run of action figures similar in style to the MOTU toys from Mattell. 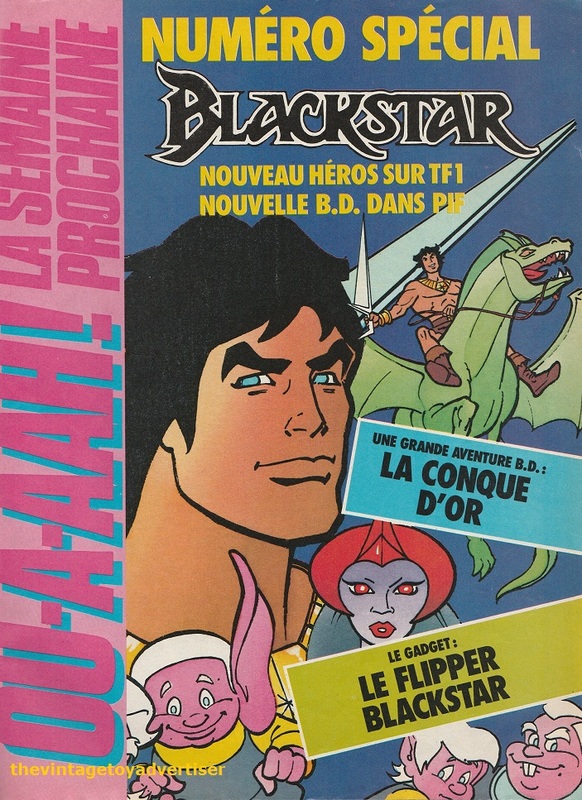 In France, Blackstar was made into a comic, featuring as a short series in Pif Gadget as well as a stand-alone publication in Editions LUG. 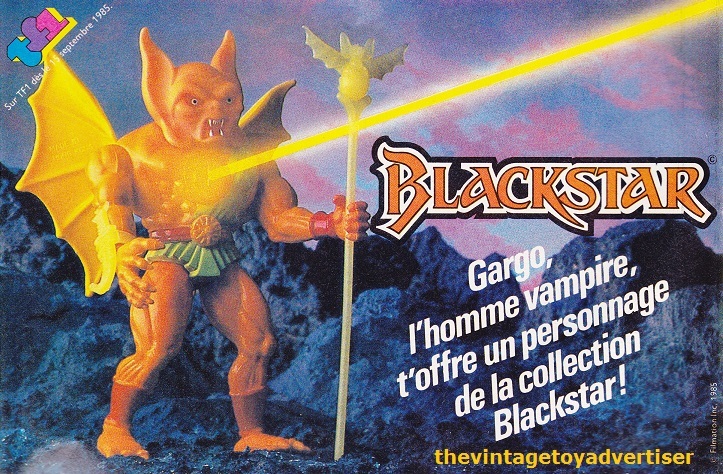 This entry was posted in BLACKSTAR and tagged 1980s toys, Blackstar figures, Blackstar overlord moc figure, Gargo, the vintage toy advertiser, vintage toy advertisements on February 26, 2013 by The Vintage Toy Advertiser.